Welcome to #GirlBOSS, a new monthly series where I introduce you to women you need to know. For our first installment, I kicked it with the ladies of Young, Ambitious & Beautiful, an organization created to "support, uplift and encourage" women of color. What began as an idea among friends at Michigan State University is now a national platform spotlight about #WomenSupportingWomen. How it came about: "We realized that many of our peers were establishing brands individually yet not really being highlighted. At the time, entrepreneurship in the black community, especially for African-American women, was not as popularized as it is today through publications and media. 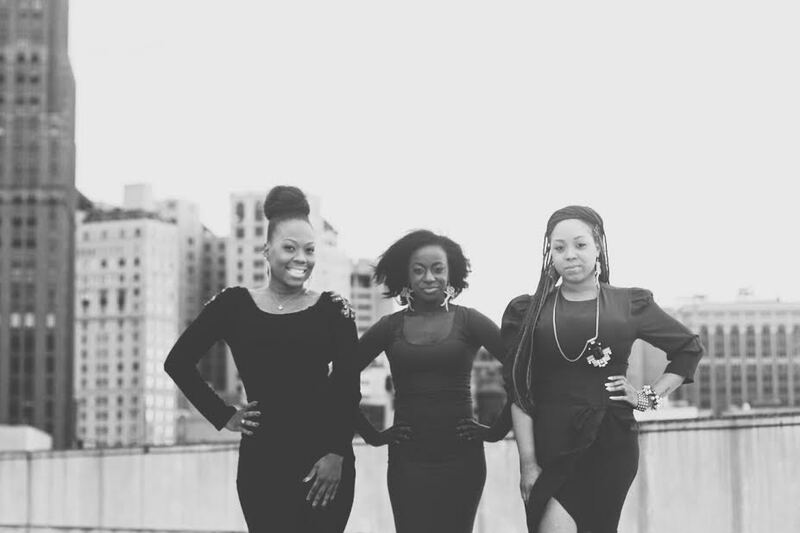 That being said, we felt that it was imperative that collectively, we build a brand that could be used as a movement for helping these women to catapult their businesses to the next level through promotion, collaborations, and overall support." Mission: "Our mission for Y.A.B. is simple: "to lift as we climb." What makes Y.A.B. different from other organizations: "I think what makes Y.A.B. different from similar organizations is that we don't focus on one facet of success for women of color (i.e. mentorship, social media promotion, event collaboration). We have combined all of those entities to form a conglomerate that showcases both individual brand and business brand development. Also, when we were established, we were primarily the only organization at that time. I think our establishment has helped to inspire many organizations to be created following our pursuit." Courtney: There's no such thing as the perfect time. Just start. Who is your #GirlCrush and why? Lauren: Most definitely June Ambrose for sure. Not just because she is the ultimate style innovator but also because she balances family and career very well and is unapologetically and authentically herself. Brittany: The first thing I do is meditate. Ideally I would meditate for 45 minutes every morning but even if I only get 10 minutes in, I must spend my first waking moments with God. I then either go to the gym or lounge around. LOL Next I'm making my green smoothie and off to work! Brittany: I believe my superpower is writing. Through writing, I've expressed my deepest feelings, I've overcome heart breaks, and I've gained confidence. I believe that one day soon the rest of the world will be changed because of my writing. Courtney: I inspire! As an educator I find myself constantly inspiring people to go above and beyond. I use my own life lessons and experiences to inspire youth to chase their goals no matter the circumstances.